CATCH GREAT LOCAL DIVISION 1 COLLEGE LACROSSE RIGHT IN OUR REGION! WWHS LACROSSE HOSTS COMMUNITY NIGHT! 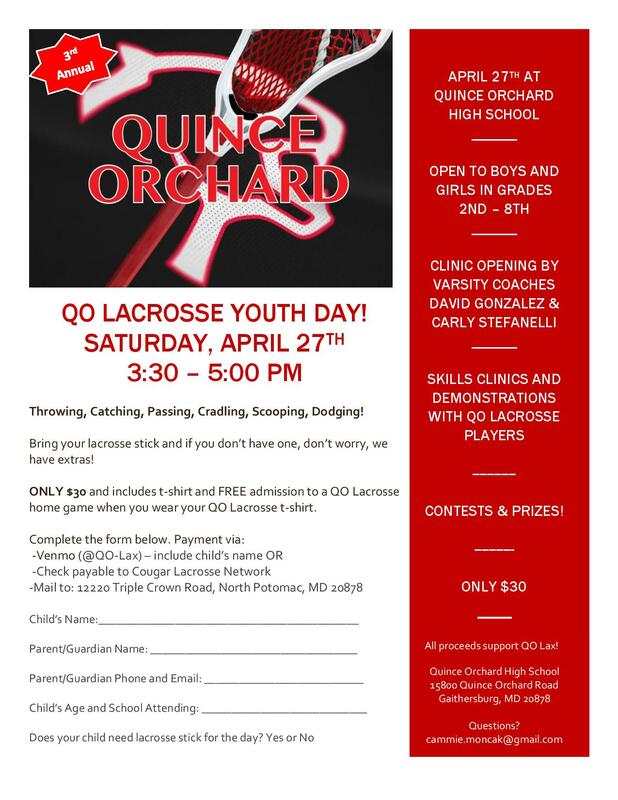 games & prizes during half-time festivities, so bring your lacrosse sticks! Wear some Black and Blue and you can blow the Famous Viking Vuvuzela! Make it a fun Wednesday for the family -- come cheer on your Whitman Vikings! GO VIKES! External links are provided for reference purposes. Bethesda Lacrosse is not responsible for the content of external Internet sites.